Why do people buy medicines from online pharmacies? Why is online pharmacy merchant account considered as a high risk merchant account? Merchant account and payment gateway options that are work for online pharmacies? Can I take payments by echeck or ACH for the sales made on my online pharmacy website? How does the order process work on a high risk payment gateway for pharmacy? How can I integrate the pharmacy payment gateway on my website? What are the transaction rates for online pharmacy payment gateway? Is there any rolling reserve for pharmacy merchant account? Do I need a supplier agreement or a vendor agreement to sell medicines online? 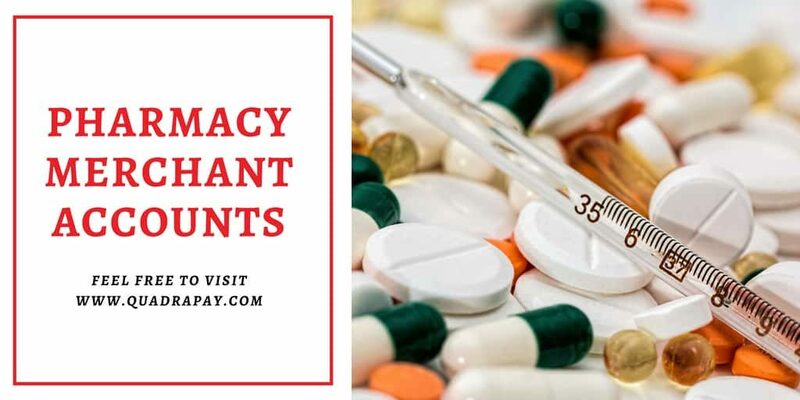 What are the KYC documents for payment gateway for online pharmacy? How can I maintain my pharmacy merchant account for the long term? The world has taken a great leap towards technological advancements. There have also been many discoveries in science and health industry. As a result, the medicine and pharmacy industry has grown a lot. You can find pharmacies, hospitals, and medical centers everywhere around. Now the expansion has taken e-commerce and online platform also. A person can go online and order for medicines. A patient can even consult doctors for the treatment by using the internet. It has made human life quite easy. Getting medicines online accessible now. As per Statista, The global online pharmacy market may reach USD 128 Billion by the year 2023. Merchant in the online pharmacy industry needs Merchant accounts and Payment Gateways. With credit card processing accounts online pharmacy companies can grow multifold. There are excellent chances for merchants to grow and progress. There are few requirements of online pharmacy merchant accounts and payment gateways. There is a twist in the story. Online Pharmacy Industry is a high risk industry as per acquiring banks. Domestic banks and acquirers rarely offer merchant accounts to high risk businesses. But now firms from this industry can get offshore pharmacy merchant accounts. Quadrapay assists merchants in getting high risk merchant accounts for online pharmacies. You can apply on www.quadrapay.com or reach us on [email protected]. Our 24*7 helpline +1 63183 21773 is available to help our clients throughout the process. Online Pharmacy refers to a website where people can buy medicines. Online pharmacies display the entire list of medications which they sell. Customers may create username and password on the site before ordering pharmaceuticals. At times the customer may reach straight to the checkout page without login. Customers make the selection and checkout by filling the required information. The Shopping cart sends the order information to the customer in email format. After the transaction, money from credit card goes to the pharmacy merchant account. After this, the merchant ships the medicines to the buyer. Most of the online pharmacies sell medication to customers located in many countries. Primary markets are The USA, The UK, Australia, Europe, India, and Canada. Some Wholesalers and distributors also export to Latin America and Africa. The Pharmacy industry is expanding very fast in the present time. The online market is taking a considerable share in this. Some online pharmacies use virtual terminals and take orders over the phone. Update:- Our Processing Partners do not support the sales of Controlled Medicines. They only support the sales of Non- Controlled Items. Processors do not support the sales of medicines that are under any of the FDA schedule list. People buy medicines from online pharmacies because of many reasons. Some of the primary reasons are. Ease of purchasing home: People do not prefer to travel and buy medicines these days. Buying Online from home is a lot easier. Cheaper medicines: Online seller may be from developing countries like India. The medication may be more affordable. Everyone would like to save money. Pharmacies from Thailand, The Philippines, Canada, and Australia are also famous. No physical interaction needed: Sometimes people hesitate to talk to others about their medicinal need. Some may prefer to be anonymous when buying erectile dysfunction(ED) medication. Faster Order Processing: The online payment process is straightforward which saves time. The merchant ships the medicines by using a reliable shipping company. There are many reasons why online pharmacies attract high credit and reputation risk. The most common cause is the product itself. Medicines can have a massive impact on the physical and mental health of the customer. For this many Governments have created list of control medicines and substances. FDA (Food and Drug Administration) Authority has strict and stringent policies. Online pharmacies should never sell controlled medication. For a small profit, they should not put someone’s life at risk. Selling controlled medicines and substances can lead to permanent account closure and blacklisting. Regulations applied by government authorities make it difficult for domestic banks on-board pharmacies. High chargeback to sales ratio is also a drawback. If the customer is not satisfied with the product, he files a chargeback. It puts the merchant and acquirer in a loss. There have been many instances of Friendly Frauds in this industry. Credit Card processing companies understand this very well. That is why it is challenging to get a Credit Card merchant accounts for pharmacy. None of our processing partners offer Card Processing merchant accounts to startup pharmacies. Startup pharmacies can use reliable Echeck solutions for online pharmacy sales. Merchants can reduce chargeback ratio by using echeck with voice verification. There are two best options for merchants in this industry. These are echeck or ACH Payment gateways. Merchants must be aware that they can not sell any controlled medicines even with ACH and echeck. These days merchants can also set up merchant accounts for credit card processing. But that is a tough path with many hindrances. Merchants are responsible for all their activities while using the merchant accounts. Merchants must abide by local and international law processors guidelines. Quadrapay team will be happy to have a phone call with merchants to answer questions. Check21 solutions are quite effective for pharmacy merchants. Merchants can save a lot from chargebacks. The chargeback rate is quite high with online pharmacy credit card processing. echeck processing for pharmacy helps merchants reduce the loss because of Chargebacks. Online pharmacy website should list all the medicines that are for sale. The site must be SSL protected. A proper description of every medicine is vital. Online pharmacy must have a registered pharmacist and necessary government and business licences. Registered pharmacist must look at prescription before shipping any orders for RX Medicines. The business must have proper legal licenses as per the country of the buyer and the seller. They should have proper import-export permits if needed. They must have relevant licenses for online medicine sales. echeck processing company will share a list of KYC documents.These KYC documents are mandatory for the approval of pharmacy echeck payment gateway. Yes, you can accept payments by using echeck or ACH Payment Processing Solution. To do this, you will have to apply for the same with any echeck processing company. Most of the processors approve accounts in less than five business days. Merchants from United States, India, Philippines, Thailand and Europe can apply. Please keep in mind that the process of approval is strict. All your documents will go though strict evaluation. The echeck processing for company will check your risk exposure. The processor checks every segment of your website. They may approve or reject the application depending upon their internal analysis. If your site is ready and you have the above listed documents then you can start the application process. Quadrapay team will send your application to the Echeck payment processor. Our team will keep you updated about the developments. We will share the responses about your pharmacy merchant account application. The underwriting team will send you a merchant account agreement after internal approval. This Online Pharmacy Merchant Agreement will have all the terms and condition. You will have to sign the agreement and send it back to the echeck processor. After this you will get the logins to the echeck payment gateway. The processor will also help you with the API documentation. Your technical team can integrate the pharmacy gateway with your website. Customer visits the online pharmacy website. Customer makes the selection of the medicine. By clicking on the checkout option the customer proceeds to a form. On this form the customer fills the shipping information along with other details. This includes Name, Email Address, and phone number. At the next step, the customer fills the account number and routing number. This information reaches the echeck payment processor. The payment processor may call the customer to verify the quality of sale. The purpose of Voice Verification is to confirm that the customer placed the order. Voice verification helps the processor in identifying fraudulent transactions. This helps the merchant in preventing financial loss. After verification the echeck processor sends the ACH transaction for processing. Merchant gets the information in the merchant control panel for transaction result. The merchant can now start the shipping process. The merchant must keep the proof of medicine delivery for 24 months. This proof of delivery can helps in case if the customer has raises any disputes. International merchants get paid weekly with one-week arrears. Merchants located in the United States can may get fast settlements or even 72 hours funding. holding period for pharmacy card merchant accounts at offshore locations can be longer. With the gateway, you get two options that helps you to collect payments from the customer. The first option is with the API. Your technical team can create a payment form. They can also integrate the gateway on to the Shopping Cart by using the API configuration. The second option is the virtual terminal or MOTO. With Moto you can put the transaction into the VT inside your merchant account panel. To process the order, you will need the following information. Yes you get the access to the echeck virtual terminal. This can be very useful in placing orders for your online pharmacy. The Control panel shows you the list of orders. This includes the Approved, Declined, Returned and On-hold transactions. You can keep a complete track of your sales and maintain the accounts. The virtual terminal can be very helpful for your online pharmacy business. Please keep in mind that most of the processors charge a per item fee. This can be up to $6 per transaction. The processor may also charge a fee for returns and insufficient fund transactions. Every High Risk Business has to face the challenge of accepting a rolling reserve. This stands true to the online pharmacy merchant account. Most of the online pharmacies pay 5% to 10% of rolling reserve. Sometimes this can be as high as 20%. This rolling reserve helps the payment processing company in paying for future chargebacks. Quadrapay suggests merchants to negotiate with processors to keep rolling reserve to 10%. It is mandatory to have a supplier agreement if you are selling any tangible products. You may search on the Internet to find a sample supplier agreement or vendor agreement. This signed supplier agreement is a must. Following laws, rules and regulations are vital for online pharmacy merchants. This ensures a stable and growing business. How Can I Maintain My Pharmacy Merchant Account For Long Term? This is not as easy as it seems. You must avoid high chargeback and stay within the prescribed chargeback limits. Generally, your chargeback ration should be below 2%. If it exceeds, there are chances of account shutdown. Next, you should always work in the guidance of FDA and government rules. This will ensure lawful procedures and your account will be safe. If you work under the law and provide quality products with the best service, you will be safe. Though, illegal practices can lead to punishments. Quadrapay.com can be one point solution to get online pharmacy merchant accounts. Having online pharmacy business is not as easy as having a T-shirt printing business at home. The expert team of Quadrapay.com has evaluated the best in class service providers. We have figured out processors with the most competitive pricing. We have resolved to help the high risk merchants with our support solutions. Any merchant can enroll with us by filling the short and secure application form on our website.